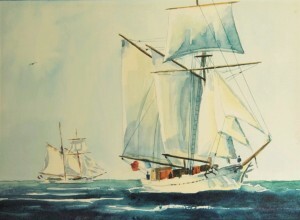 A rare watercolour measuring 33 x 21,5 cms, (8,5” x 13”), in the collection of M. & Mme J. Linquette of Brest. 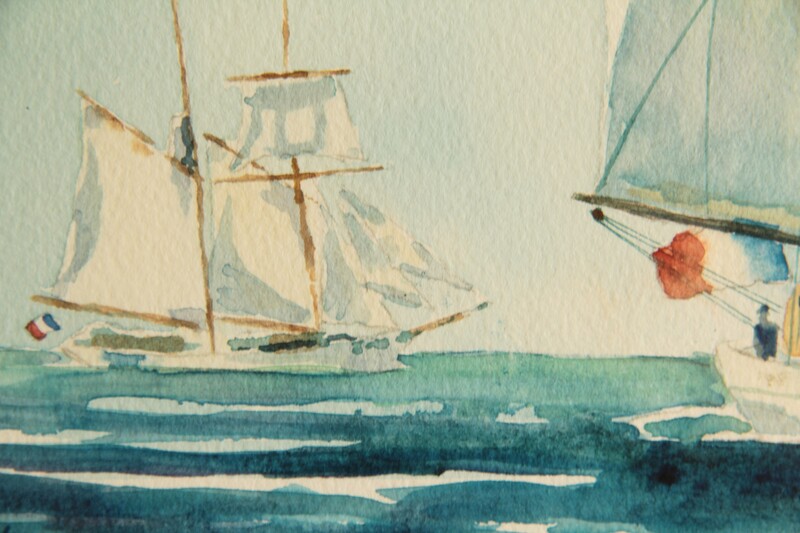 This is the sort of quality you can expect if you commission a water colour. It is but rarely I paint in watercolours. Oils are THE classic medium however watercolour has its own charm and is often less expensive. 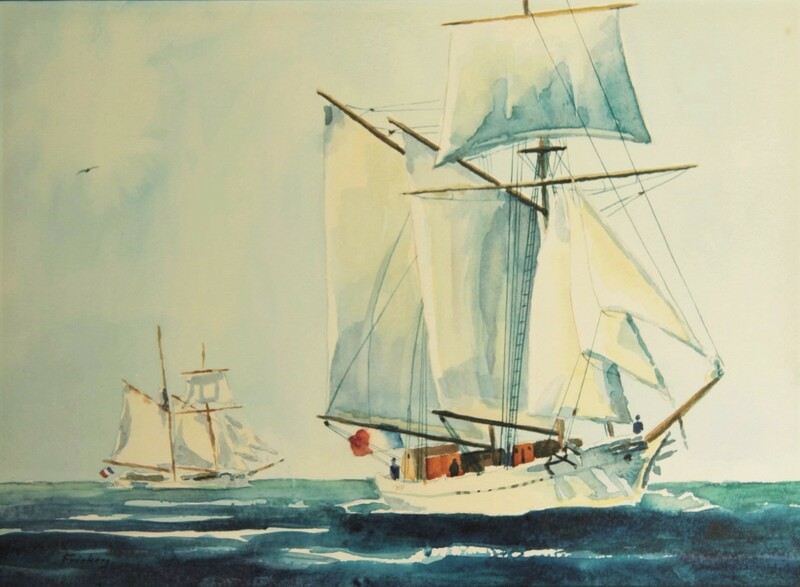 Painted back in 1995 after seeing this fine pair of schooners, built 1932, owned by the Marine Nationale Ecole Navale, operated as training vessels, they have an unusual history. ‘Belle Poule’ has a charming connection with Toulouse in SW France.